One of me and Aaron's favourite activities is swimming. Last Spring we got into a habit of going every Friday, but then we got a new routine of meeting my best mate and her son every Friday and swimming went by the wayside. I actually had no interest in going swimming during the heatwave we had during the Summer and much preferred the paddling pool in the garden which got lots of use. Anyhow a couple of weeks ago, my new routine and my old routine combined, and now the 4 of us (2 x boys and 2 x Mums) go swimming every Friday. We've only done 2 Fridays so far, but it already feels like a new healthy habit. In the water there are no issues with running around, or sharing. It is so relaxed and so so so much fun. We sing songs, we splash, we laugh, and we relax. No housework out of the side of your eye, and no toys/telly. Bliss! 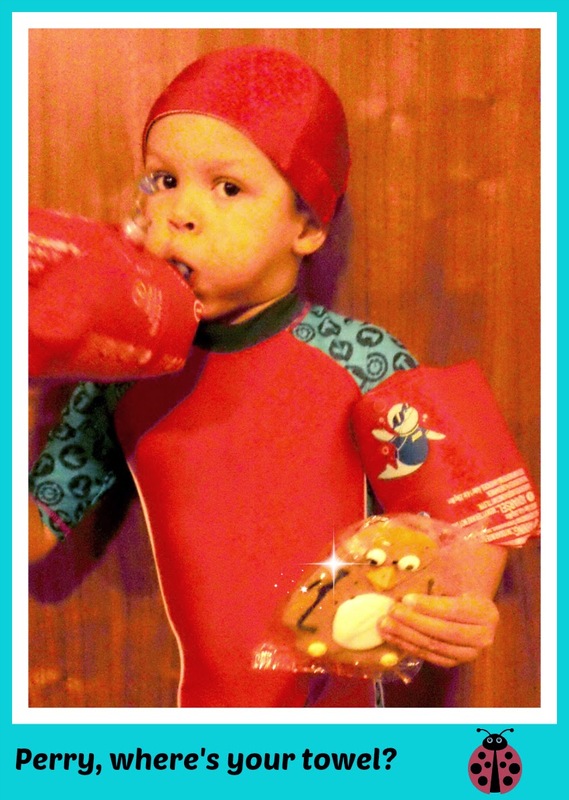 When I come back from swimming I wash his/my swimming hat and his/my swimming costume. They get packed in a bag, which is put in a drawer, so that the next time we go swimming it is just a case of grab and run. When he is older and has goggles etc... I will add them to the bag! I am not tidy, so this routine really helps when I am in a flap trying to get ready to run out the door. We've been swimming on and off a few years now (well 3 at least) and it's a routine I have always stuck to. I ensure we have lunch before we go, but obviously not too close to swimming. Hungry kids don't like swimming! Despite lunch an hour or two before swimming he still gets out of the water ravenous. Be prepared for this! Week 1 of our new routine he went to bed early, but week 2 I was disappointed to see that the same trick did not work again. The trick is to do bedtime at tired and not wait till over-tired! Make sure I have the ONE POUND for the locker and the entrance money. Make sure I have a wet bag (a drawstring bag that the wet things will go in after). Make sure that when I fill the locker, towels are at the top. He's always freezing when we get out of the water. Stop at the showers to warm up on the way to the lockers (it's a bit of a walk). See point 6! Get him dressed in warm clothes before me, for the same reason. Do not put his shoes on, and threaten that I don't want him to get his socks wet, so that he stays seated while I get dressed. Week 1 he ran around the changing rooms while I tried to dress. Week 2 I knew what I was doing and did this trick. Will it work again this Friday? No idea but I will let you know. Deflate our Zoggs arm-bands after the swim, so that they are flat and not tangled (by that I mean twisted). Also means they dry properly and are nice and flat, ready to be blown up next week. I do point 10. because with our Zoggs arm-bands (which I love by the way) you have to inflate part 1 before part 2, and this is hard to do if they are not flat and untangled. I learned this from a time I went swimming with Anya in Brighton, (a year ago this coming week actually) and got stressed/tearful when I couldn't blow them up properly. I was stressed anyway, and got the finger equivalent of tongue-tied. There's info for parents of swimmers on this website. This past Friday, I had to take a pic of Aaron in the changing rooms as we were spending the weekend with Perry the Penguin to blog about #PerryOnTour. This is Aaron's second all-in-one costume which is ideal for keeping little ones warm. When he was under 1 years of age, in the early days of our swimming trips he had one of those swimming nappies, but they are only bottoms so I used to have to team it with a t-shirt which looking back on it was SO silly. I much prefer all in ones now! If I had my time again (which I hope to as I don't want to be a Mum of One) I would go for a float suit. Apparently float suits are ideal for new swimmers. Our arm bands are also on that link. What I LOVE about them is that they are ROLL UP. Easy on and easy off!!! They are currently only seven pounds and worth every penny if you ask me. We have been using ours since 2011! Our wet bag is actually Zoggs too, (I see it is only five pounds on their website, but we paid double that as we bought it in a swimming pool - don't be caught out like me and buy as much as you can directly on their site) so we are big fans in this house. You can also get fun dive sticks from Zoggs if you have older swimmers. We're a couple of years off that just yet :-) Zoggs are actually doing a 50% off swimwear Sale at the moment! 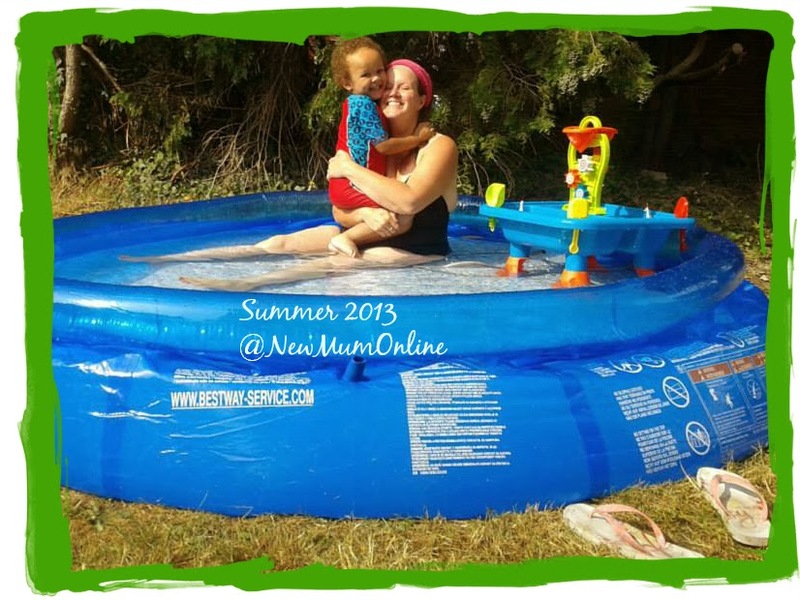 Do you take your little ones swimming? I'd highly recommend it. I can't wait till Friday. Actually last week we saw a Mum and Daughter refused entry to the pool as neither of them were in a costume, but rather underwear. I am really glad they are okay about my best mate wearing a long sleeved t-shirt and leggings as she is Muslim and must cover up even in the pool. Thankfully the pool is empty on Fridays so we don't have to seek out women only classes. This post was brought to you in association with Zoggs but ALL opinions and words are mine and mine alone. You are awesome! I bet Aaron loves it. I just don't know where you get your energy from!